VeraVia places special emphasis on incorporating the latest cutting-edge psychological and behavioral science techniques to help our guests create long-term sustainable behavioral changes. A vital component of our wellness vacation is revitalizing and rejuvenating your spirit. We use group and individual sessions paired with lectures and workshops to teach the importance of renewal and balance in maintaining your health and wellness goals along with techniques to make that happen. Our psychological team will help you improve your mindset and learn to avoid self-judgement and negative thought patterns to ensure a much smoother and natural path to weight loss and fitness goals. We use the most effective tools to help you overcome mental and emotional blocks to success, including Cognitive Behavioral Therapy, Dialectical Behavior Therapy, and EMDR. Our behavioral health component also incorporates many self-care and Eastern-based techniques, such as mindfulness, mind-body awareness, self-motivation techniques, guided meditation, hypnotherapy, Biofeedback and more to help you cope during times of stress. 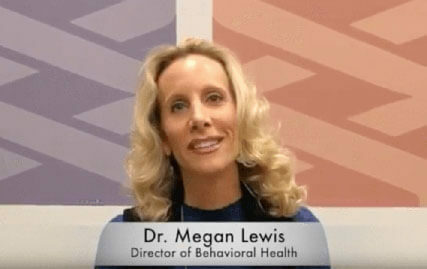 Our Director of Behavioral Health, Dr. Megan Lewis, is also trained in EMDR (Eye Movement Desensitization and Reprocessing) therapy and offers this highly effective modality to VeraVia. EMDR is an evidence-based psychotherapy originally developed to treat Post-traumatic Stress Disorder (PTSD). Successful outcomes are well-documented in the literature for EMDR treatment of a host of other psychiatric disorders and mental health problems, including, but not limited to: phobias, panic disorder, victims of crime and sexual assault, complicated grief, victims of natural disasters, chemical dependency, chronic pain, personality disorders, and complex PTSD. This treatment approach utilizes bi-lateral stimulation of the brain to target past traumatic experiences, current triggers, and future potential life challenges. Successful treatment results in the alleviation of presenting symptoms, a decrease or elimination of distress from the disturbing memory, improved view of the self, relief from bodily disturbance, and resolution of present and future anticipated triggers. EMDR has helped countless trauma survivors and others suffering from a wide range of clinical conditions by providing profound and stable treatment effects in a short period of time. At VeraVia, you’ll achieve lasting lifestyle improvements by learning how to build healthy, enjoyable habits. The VeraVia team treats both the internal and external factors leading to excess weight and suboptimal health. Rebecca struggled with Type II diabetes for years. 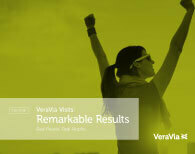 Find out how VeraVia and our personalized approach helped her see real, life-changing results.